Originally posted on Love in the Margins. Acclaimed literary biographer Elizabeth Winston writes about long-dead heroes. So bad-boy rock icon Zander Freedman couldn’t possibly tempt her to write his memoir. Except the man is a mass of fascinating contradictions–manipulative, honest, gifted, charismatic and morally ambiguous. In short, everything she seeks in a biography subject. Rock star Zander Freedman has been an outlier–many would say an outcast–for most of his life. Elizabeth’s integrity is the key to consolidating his legacy as one of rock’s greats. All the damn woman has to do is write down what he tells her. Not force him to think. Turns out he is scared of something: being known. 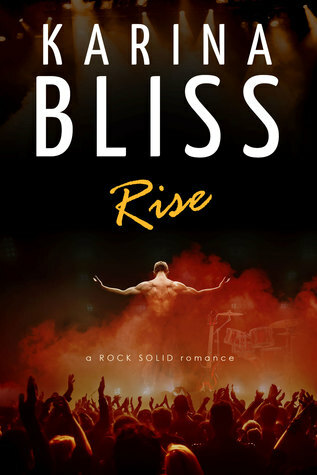 This entry was posted in contemporary, read in 2015, romance and tagged Karina Bliss, Kiwi, Rise, What the Librarian Did. Bookmark the permalink. LOLOLOLOLOL let me howl with bitter laughter. If he was a brain-addled teenager I would understand. Successful rock stars are DEVIOUS and INTELLIGENT. If they weren’t they wouldn’t have succeeded. I was expecting devious and intelligent and preparing to love it. Instead I got…this. Look, it’s the same guy from the cover of Six of Hearts! Well, What the Librarian Did sounds good, anyway.